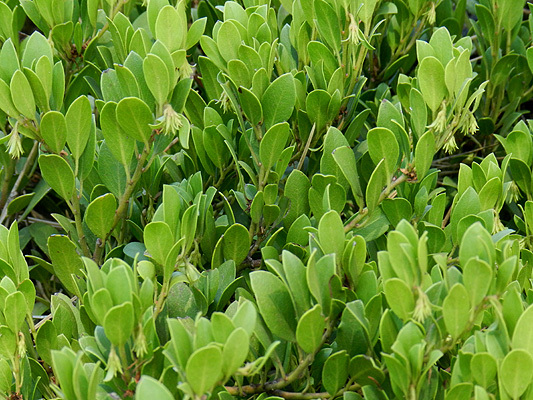 Evergreen shrub, prostrate, cushion-like, 30 cm tall to 100 cm wide, spreading branches sometime rooting. Leaves ovate to oblong-ovate, 2-3 cm long, sharply tipped (mucronate or acute), base round or wedge-shaped, margin entire, both surfaces similar, bright green and either shiny or dull. 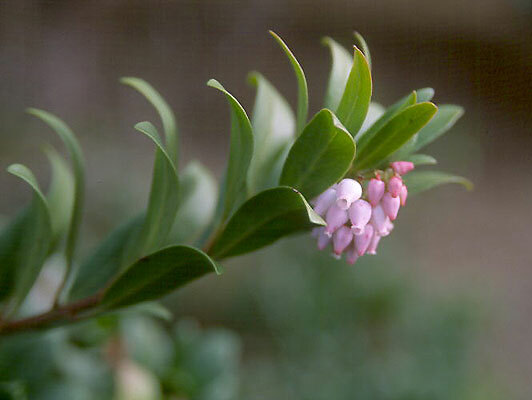 Flowers urn-shaped, white or pink, in short clusters (4-8 cm long). Fruit reddish-brown, flattened sphere, glabrous. Sun to light shade. 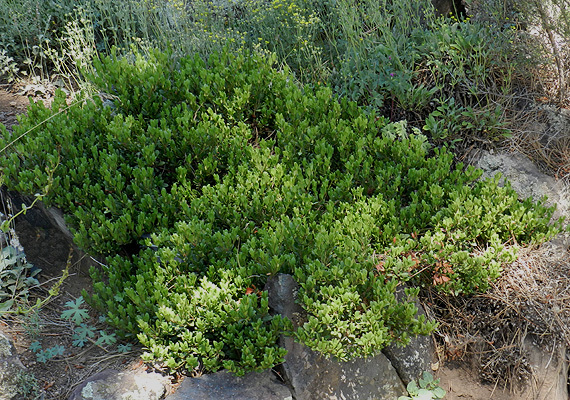 Reportedly not easily established in at low elevation, excellent for mountain gardens. Hardy to USDA Zone 6 Native range from Washington to California in the Cascades, east to the Blue Mountains in Oregon. 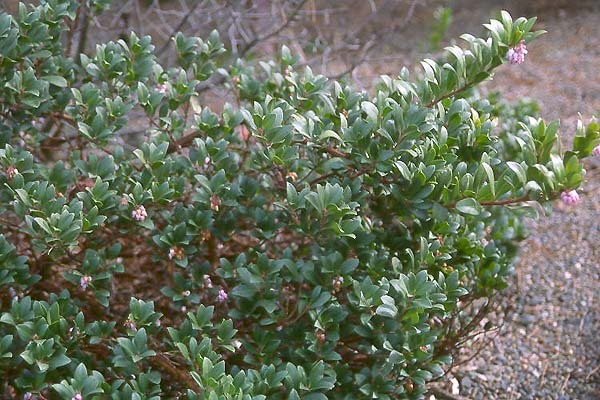 Often found in rocky areas beginning at low altitudes and overlapping with areas covered by A. uva-ursi (Kinnikinick) and A. columbiana (Hairy Manzanita), with which it may hybridize. 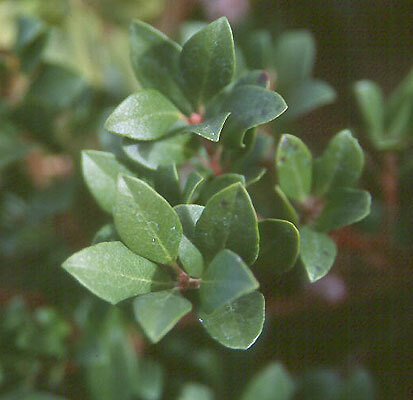 Similar to A. uva-ursi, but more cushion-like than mat-forming, its leaves are pointed not rounded, and its fruit is reddish-brown rather than red.